This is very true in the industrial environment where the same mistakes happen over and over, even though the pressure for improved quality, efficiency, and revenue are real and growing. A big reason for this is that it is difficult to prevent operator mistakes with a drastically evolving workforce. Today, 60 percent of Millennials are open to changing their current job, and they are the least engaged generation in the workforce. Gallup estimates that Millennial turnover costs the US economy alone US$30.5 billion annually. Millennials average four job changes in 10 years, double the previous generation, and their job changes are more drastic, such as switching to a new industry. A new job every three years makes for a lot of jobs in a lifetime, and a lot of employee turnover and inexperienced workers. This creates a real problem for businesses when you consider that 65,000 people each day around the world reach retirement age — a trend that is expected to last 10 years, resulting in the loss of an experienced workforce. So what happens when incoming workers change jobs as frequently as Millennials are expected to do? It means constant training, higher risk, as well as errors and waste. 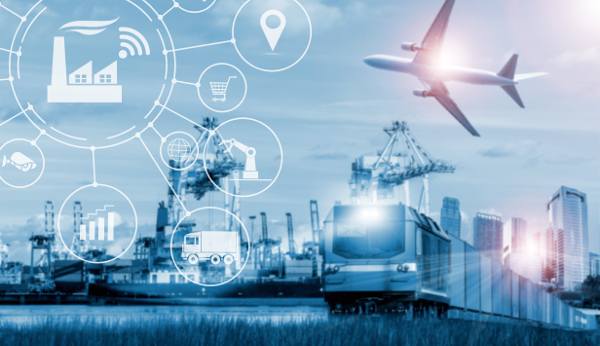 The bottom line is that you can prevent many operator mistakes by using today’s Industrial Internet of Things (IIoT) technology. For example, fourth-generation HMI/SCADA, using a digital thread of information, can guide inexperienced operators through the right steps and verify their actions. Real-time data, captured across systems, provides the triggers for execution of electronic standard operating procedures, with instructions sent to mobile workers, at the right time and the right place. How can you meet organisational goals and stay in compliance with regulations when your employees do not know their jobs? How can you prevent the same costly mistakes from happening over and over again? Simply put, the IIoT helps to enable our workforce to work smarter. We can use software to capture critical best practices before our most experienced workers retire, and guide new workers through the right steps to do their jobs properly. This is a method that works. Younger operators, who grew up with electronics, easily interact with dynamic task instructions through intuitive screens. Additionally, GPS technology is powerful in the industrial environment, enabling delivery of the right information to the right operator at the right place. This is a natural extension of electronic devices in an operator’s personal lives and helps them be successful at work. As for all of those mistakes related to alarms, fourth-generation HMI/SCADA based on IIoT technology takes you beyond alarm acknowledgement to drive the right actions by your team. With a guided and consistent real-time event response, you can reduce troubleshooting time and emergency phone calls. Fourth-generation HMI/SCADA provides decision support to operators, technicians, and managers, spanning the full operational team. As an example, at one of the world’s largest municipalities with many workers reaching retirement age, the city is modifying its HMI/SCADA screens to ease response by inexperienced workers. New efficient HMI screens with simplified designs help operators quickly identify problems and causes. Additionally, the city is expanding its HMI/SCADA system to connect previously isolated regulator stations, increasing visibility and available data. In addition to supporting operator decisions on the fly, you can optimise and continuously improve more than ever. Fourth-generation HMI/SCADA software allows tracking and reporting on work processes to hone your operations. You can identify and eliminate nuisance events, compare operator performance, and evaluate opportunities across people, equipment, and systems. Fourth-generation HMI/SCADA helps bridge the traditional gap between operations and maintenance to achieve real-time, condition-based asset performance management. When an out-of-spec event takes place in the SCADA system, you can trigger a work process to interface with maintenance modules such as Maximo and SAP, secure a work order number, send specific instructions—including GIS location information—to an operator and facilitate the corrective action to remediate a problem. Then, you can close out the work order with the maintenance system and record the actions taken for historical records and optimisation. You can reduce the need for operators making scheduled rounds and device readings, and automate the process of moving from the detected condition to creating work requests and the right corrective action across your evolving workforce. That means less downtime, maintenance, risk, and lower costs. How can you embark on this journey to the Industrial Internet? First, connect your industrial assets and operations, including capturing people performing manual processes. In most cases, you will not be building a connected organisation from a greenfield project. Instead, you will be creating a more complete digital thread across legacy systems and outdated pieces of equipment. These ageing equipment assets are typically stand-alone, with limited connection capabilities. You can overcome connectivity and interoperability challenges. Many sites have some software, whether it is embedded in a machine and was developed by the OEM, or developed as part of an HMI/SCADA project. Rely on experts to connect your systems and establish a strong HMI/SCADA layer as a foundation for IIoT. In addition to old and/or isolated equipment, data gaps occur for other reasons too. Manual operations are still prevalent and often not tracked. Also, fairly common, the information exists but is consumed in an isolated way in the organisation. A typical example is regulatory compliance data, only used to generate compliance reports. These reports represent a gold mine of information and can be utilised in the continuous improvement process — thus, the need to access all the data to deliver accurate dashboards and KPIs, both to operations and the business. This is what we call the digital thread, which streamlines the interfaces across functional silos: from the machine and operator to the line, the site/factory, all the way to the supply chain. Before long, the most valued companies will be digital industrial companies that blend combinations of digital capabilities and industrial assets. Digital capabilities are required, in partnership with physical assets and processes, to drive productivity and efficiency to new levels across an organisation or environment. Build that foundation today and get connected, enabling the digital thread and IIoT. With modern technology, we can meet the challenges of our modern workforce. Today’s operators can have the information they need — in their hand in the field or in front of them at a desk — letting them know what they need to do and how to do it. With a foundation of a connected organisation and fourth generation HMI/SCADA technology, it is time to turn that old quote around: “Sanity is repeating the same correct actions and expecting the same results.” That means consistent operations, fewer mistakes, and better business outcomes.